Damanu won 27 gold, 14 silver and 19 bronze medals, Vesi House sec­ond (24, 20, 14), Dakua third (23, 20, 17) and Yaka fourth with (18, 29, 28). Roselyn Rakai (middle) celebrates as she won sub-junior girls 100meters final during Dilkusha Methodist High School inter-house competition at National Stadium. Photo: Ronald Kumar. 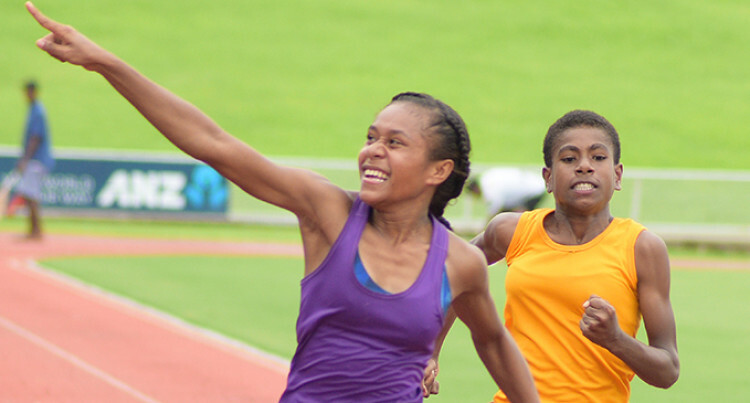 Damanu House won the Dilkusha Methodist High School interhouse athletics competition at the ANZ Stadium, Suva yesterday. Speaking to SUNsports yesterday, school’s principal Satendra Singh was overwhelmed with the turnout despite the wet weather. “I am glad with the turnout for our inter-house meet despite the unfavourable weather conditions, the students still made time out to compete,” Singh said. “We are looking forward to field­ing our best athletes for the upcom­ing Triple N Zone and the Coca-Co­la Games and win some medals for the school. 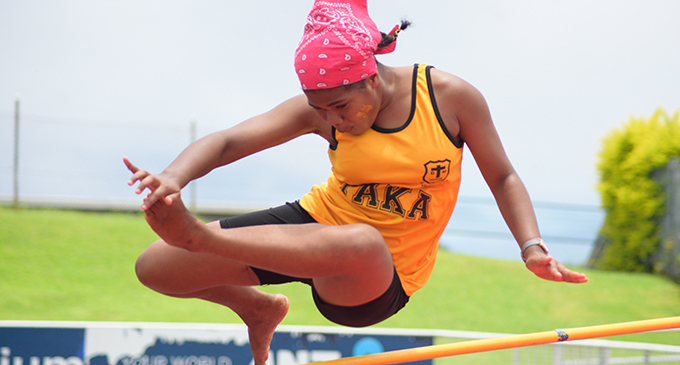 Karalaini Marama fails to clear the bar during Dilkusha Methodist High School inter-house competition junior-girls high jump finalat National Stadium. “This year we do have some po­tential athletes in the sub junior, junior and the intermediate grade as well. “We were also pleased to have 200 plus students participating in the inter-house meet. “We had our heats completed at our school grounds on Wednesday and finals at the stadium. The school coaches have been working on their athletes who have qualified for the Triple N Zone where they face Adi Cakobau School. Nasinu Secondary School and Lelean Memorial School.